Catherine Bennet is in possession of the worst kind of luck. With three of her four sisters happily married, she is stuck in a quiet house with a sister who does not care for balls and dancing with garrison officers, or what new ribbons are in the shops in town. Mrs. Bennet might be anxious to have her married off, but for Kitty Bennet, nothing seems to be going right. Kitty’s luck takes a turn for the worse when a journey to visit her sister Elizabeth to attend her confinement puts Kitty in a perilous situation, her disappointment is unmatched as she discovers that her only hope is not a dashing officer in regimental red, but a young man with ink-stained cuffs and an earnest smile. 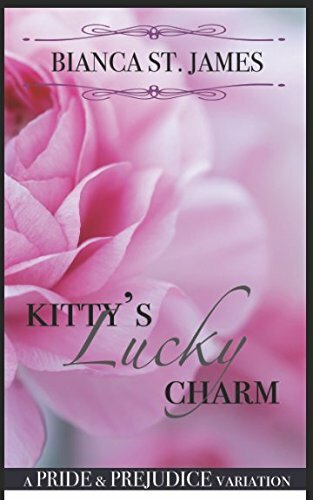 Kitty’s Lucky Charm is a sweet, clean romance suitable for all lovers of Jane Austen's Pride and Prejudice. 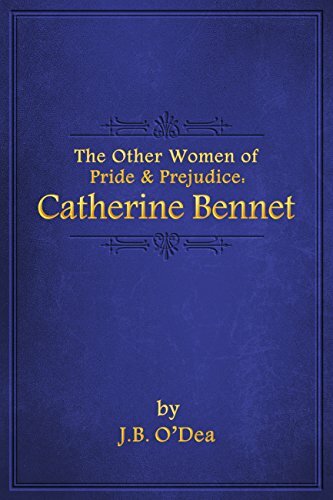 Catherine Bennet is a sequel to Jane Austen’s "Pride & Prejudice" and the first book in the series titled: The Other Women of Pride & Prejudice. This particular story focuses on that lesser-known sister, Kitty, and places her in the forefront of the Bennet family and turns her into the heroine she deserves to be. It is almost two years after the marriage of Elizabeth Bennet and Fitzwilliam Darcy, and Kitty is nearly twenty-years old and still living at Longbourn with her parents and her sister, Mary. She is restless, to say the least, and she is tired of waiting for the gentleman who will break the monotony of her life and marry her. However, she is inexperienced with the ways of the world and with men in general, and she believes that of all her married sisters, Lydia is the luckiest for capturing the heart of the handsome and notorious George Wickham. Kitty is determined to find such a man for herself, and she sets her sights on Mr. Wickham’s close friend, John Denny, but whether he is suitable marriage material for the likes of the innocent Kitty Bennet is open to question. Perhaps she is better-suited to the seemingly unremarkable Colonel James Fitzwilliam, who is Mr. Darcy’s cousin and intended for his sister, Georgiana. Whatever the case, all is not as it should be in Catherine Bennet, and as the story progresses Kitty abandons the silly, romantic notions of youth and grows into a woman who understands what real love entails. Scandal and intrigues abound, and there are many sub-plots involving some familiar characters in "Pride & Prejudice", as well as some new faces that contribute to the tale in the most interesting ways…. As a tribute to Jane Austen and her wonderful "Pride & Prejudice", I am donating 30% of the net proceeds of "Catherine Bennet" to the Youville Residence Society of Alberta, Canada - a place that has been helping women in Calgary transform their lives since 1977.